Greenwood Village, CO – September 14, 2017 – Payroll Vault Franchising announced their newly awarded franchise location in Buffalo, NY as they enter into a successful sixth year of offering the concept. Payroll Vault has experienced terrific growth in the past year and now is operating in 17 states with 36 locations – this is Payroll Vault’s first office in New York state. Payroll Vault Franchising welcomes owner Andrew Dowe to the Payroll Vault family. Andy has spent the past 20 years as an International Tax Director and was ready for a change in lifestyle and professional culture, seeking ownership in his own business. His career was focused on information systems, efficiency and improving processes for other agencies. Passionate about small business, Andy decided to put his skills to work for himself. “I am fortunate to have worked with top companies during my career, and thankful for the business travel, but now it’s time for a new chapter in my book. As a Payroll Vault franchise owner, I will put my work experience to use in supporting my clients in areas of efficiency and process improvement while maintaining a more desirable work-life balance,” states Andy. The payroll industry has an overwhelming demand for specialists. With a booming economy, new payrolls are being added to the small business community at an unprecedented rate. Andy decided to pursue his dream of local business ownership in one of the fastest growing markets nationally. Headquartered in Greenwood Village, Colorado, Payroll Vault Franchising provides entrepreneurs the opportunity to start-up their own small business with the support of our team of experts. With decades of experience, we instruct our franchisees on small business best practices and providing payroll support. Since its launch in 2012, Payroll Vault Franchising has grown rapidly as clients realized the immense value of the service as a business. 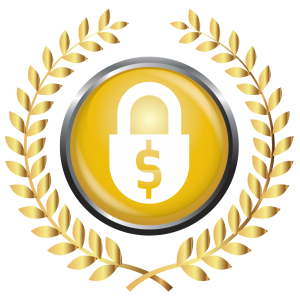 As a result, today Payroll Vault Franchising is recognized as a national leader in the industry. For more information, visit PayrollVaultFranchise.com.